Students from the Campbell Union High School District, Campbell city officials and administrators from surrounding cities donned hairnets and got to work on Jan. 14 for the district’s day of service. 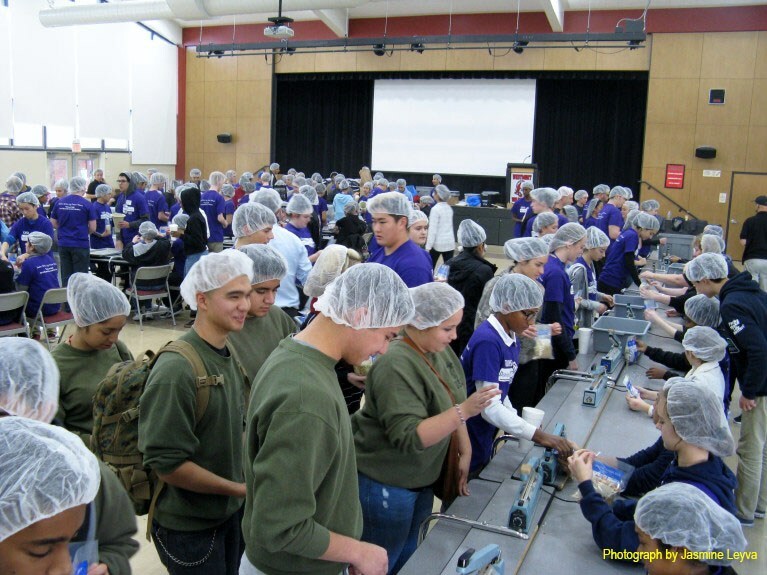 More than 250 students and volunteers filled the Westmont High School cafeteria on Saturday morning to package meals for Kids Against Hunger’s Bay Area chapter. They formed an assembly line and scooped rice, dehydrated veggies, protein powder and flavoring into packages from 9 a.m. to noon. The meals will be sent to families in the Stanislaus County, according to Sherri Leal, the nonprofit organization’s Bay Area chapter executive director. “We send 237,000 meals to the Philippines twice a year,” Leal said, adding that meals are also sent to Haiti five times a year, and the organization will start sending meals to India this year. 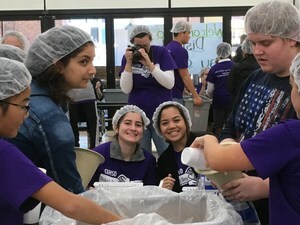 The district’s day of service is just one in a series of events hosted by the five high schools that see wishes granted to students, teachers and district employees. The last event will take place on Feb. 3 at Prospect High School. This is the second year the district’s day of service teamed with Kids Against Hunger. 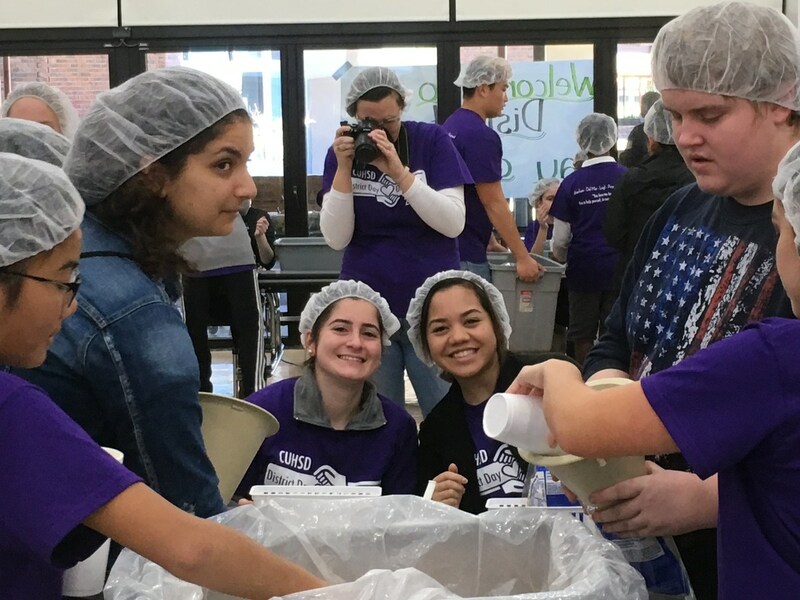 Last year, students packaged more than 25,000 meals bound for Haiti, according to Prospect High’s activities director Sharon Salazar. According to Leal, each package the students completed contains six nutritional meals at a cost of 20 cents per serving. Superintendent Robert Bravo got in on the action as well. According to Leal, about 100 meals were packaged by each person there. Among the volunteers were Los Gatos Mayor Marico Sayoc, former Campbell mayor Jason Baker and former San Jose city councilman Pierluigi Oliverio. The Campbell Union High School District’s five high schools serve students in parts of San Jose, Campbell and Saratoga. For more information about the Bay Area chapter of Kids Against Hunger, visit kidsagainsthungerpleasanton.org.